Safety of both passengers and their driver is a topic becoming more and more important when deciding on which new car to purchase. With tens of thousands of people injured in car accidents every year in NSW alone, it’s good to know Mazda have taken driving safety seriously. Mazda pride themselves on owning some of the safest car on the international market, and understanding just how Mazda’s Advanced Impact Distribution and Absorption System works will put you at ease no matter where you are driving or the conditions you may encounter. A carefully engineered and successfully tested safety system used in applicable Mazda vehicles offering superior safety to all occupants. This highly intelligent system contributes to Mazda’s renowned 5 star ANCAP rating, and is a contributing factor to Mazda’s No.1 sales by retail units. The system uses a triple-H frame design incorporated into the car’s body to create a “built-in roll cage”, and features high tensile steels which are both stronger and lighter than standard. During a collision, impact forces can damage a vehicle’s structure, causing serious injury to occupants. The purpose of MAIDAS is to resist cabin deformation while absorbing and distributing these impact forces away from occupants. Protecting them from possible injury. So, how does it work? In the cabin, three high tensile steel frames, connect to form the triple-H occupant safety cell. This structure is further strengthened by underfloor cross members and roof reinforcements. 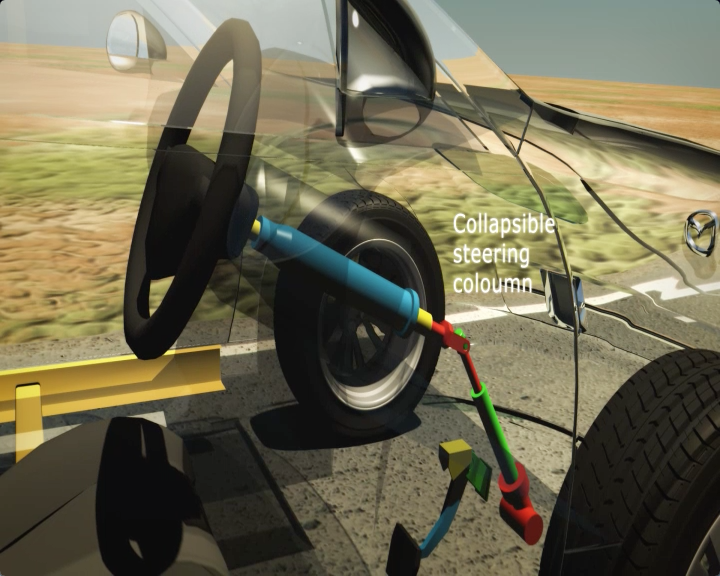 This structure redirects front, side and rear impact forces away from occupants, and resist deformation during rollover. 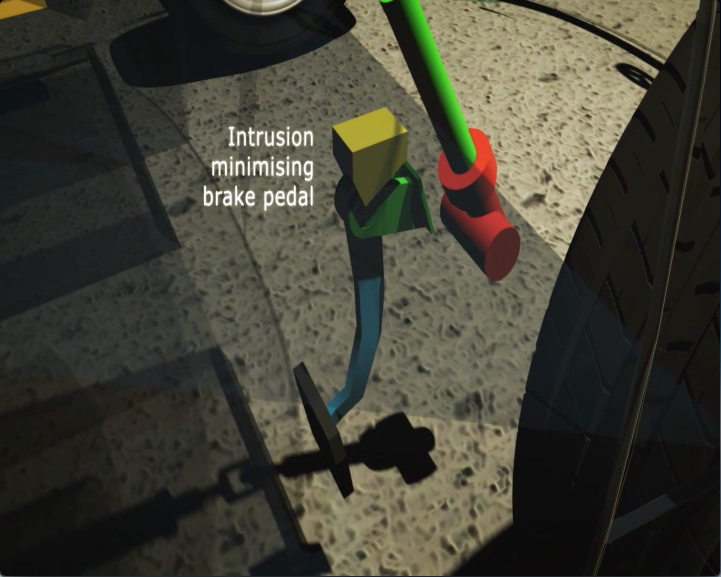 In the event a frontal collision, the steering column collapses, while an intrusion minimizing brake pedal swings forward, towards the front of the vehicle. These mechanisms increase the cabin survival space, and reduce the chance of occupant injury. 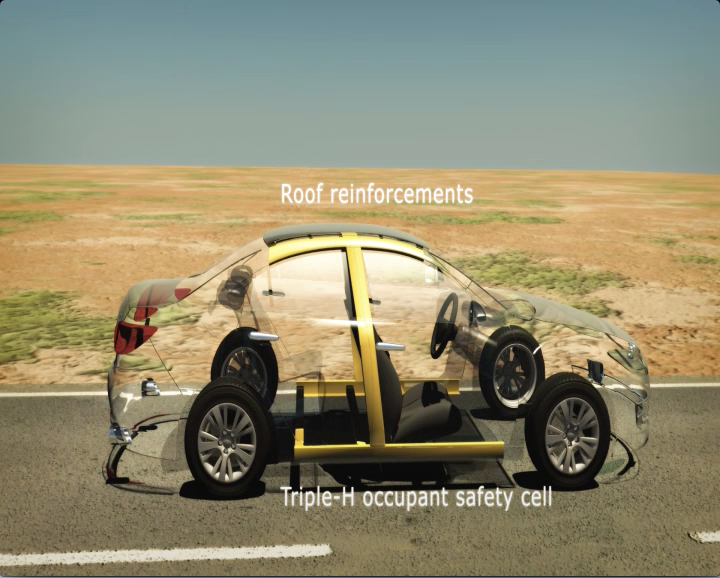 During frontal collisions, a perimeter frame absorbs and redirects forces to the triple-H occupant safety cell, and away from occupants. During side collisions, impact bars and the triple-H occupant safety cell in the B pillars and floor also absorb and redirect impact force away from occupants.